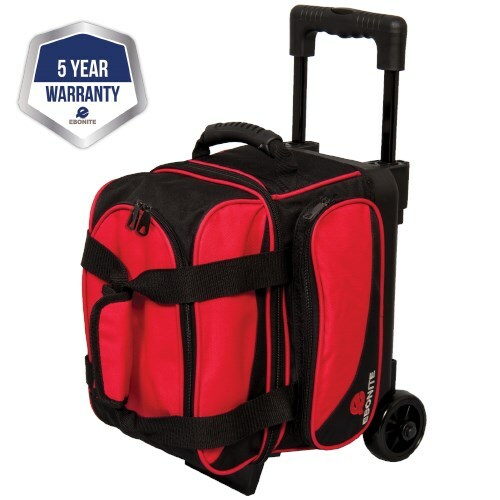 This Transport I Series bag is great for equipped for every kind of bowler. 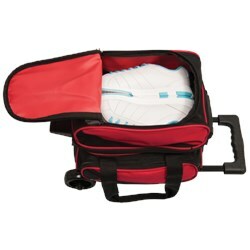 It has room for one bowling ball and all of your accessories including your shoes! Dimensions are 22" x 18" x 12". The handle extends to 35"
Does it really hold only up to a Size 10 men's shoe? Yes, that is correct. 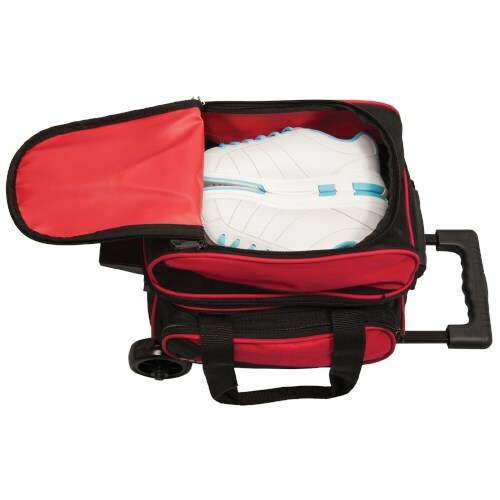 It will hold up to size 10 shoes. The weight of the bag will be between 5-7 pounds. 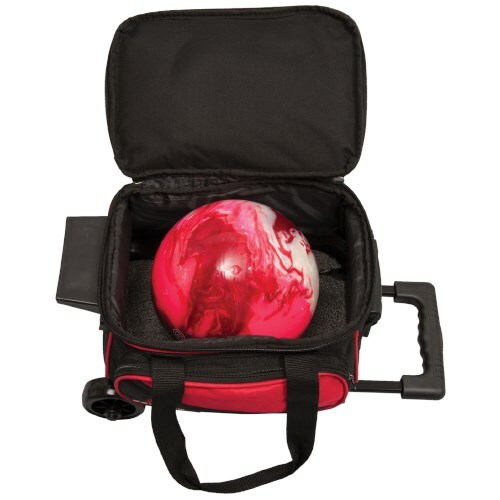 Due to the time it takes to produce the Ebonite Transport I Single Roller Red ball it will ship in immediately. We cannot ship this ball outside the United States.